So reads the header at the top of Anitra Durand Allen’s website, where she markets her services as a life coach and speaker. Allen is a work-from-home mom, professional life coach and the author of “Experience B.L.I.S.S. in Your Relationships,” a guide to creating a more peaceful, productive and, yes, blissful family life. She’s been at it since 2014. But Allen’s life wasn’t always so blissful. Allen spent 15 years as a project manager in the corporate world before she quit her job to pursue her dreams. “It got old quick,” Allen said, summing up pretty much everyone’s feelings about working in a cubicle farm. But quitting your job — even if you hate it — isn’t exactly easy when you have a family of five to support. So how did Allen do just that? Allen attained a corporate job in the medical devices field immediately after graduating college with a biomedical engineering degree. Although life changes and geographical moves led her through different jobs, Allen remained in the same unfulfilling office environment and in similar roles — leadership positions that meant part of her job performance was based on the behavior of others. But while Allen was never in love with her job, it was actually her family that made her realize it was time to quit — in particular, her crazy-entrepreneurial children. Her older daughter, Olivia, is an actress and founded the “I Can Be” Girls’ Confidence Conference. Her younger daughter, Alexandra, is an award-winning sprinter; she was the sixth fastest 8-year-old in the nation in 2015. When Olivia got her first big audition in L.A — necessitating a lengthy plane ride from the family’s home in Louisville — Allen realized she couldn’t be tied to a traditional 9-to-5 job and still be able to fully support her daughters’ passions. Allen knew she had to rebuild her career to be more flexible and fulfilling, but she didn’t know how. “I always wanted to just be a good wife and a good mom,” she said. And she knew she wanted to work for herself. But how to translate that into a career was less straightforward. Then, Allen started writing about her journey. “This was before I really knew what blogging was,” she said. Her first platform? Facebook’s Notes app. Eventually, she found a coach in a Facebook group who offered a course on content marketing. “I knew what I wanted to say and how I wanted to say it, I just didn’t know how to reach the people I wanted to reach,” Allen mentioned. The coach she found was able to help her change that. Since then, Allen’s business has grown beautifully — she makes money as a speaker, blogger, coach and author. She also spends a significant portion of her working time managing her children’s entrepreneurial pursuits. “Both of [the girls’] managers say I work for them,” Allen laughed. But it took Allen and her husband two years to get their finances in order to accommodate such a massive lifestyle shift. Here’s what they did — and what you can do, if you’re trying to get your freelance business off the ground. While Allen was still employed in the corporate world, she took a course centered around Dave Ramsey’s “Baby Steps” concept, and began complete them one by one. “It’s about knowing where all of your money is, and then telling your money where to go — instead of finding out where it’s going after the fact,” Allen said. Only once the family had an idea of what their finances looked like were they ready to allocate those funds appropriately. The family took a well-calculated risk by liquidating $16,000 of their 401(k) plans to achieve this goal — as well as to seed Allen’s business and allow for more cash flow while she got started. If you’re in debt, you might look into (mindfully!) liquidating some of your assets, too. Sometimes, it’s worth letting go of some savings to avoid the endless cycle of paying down high-interest loans. The biggest part of the family’s shift revolved around groceries, Allen said. And that’s no surprise: Groceries are one of the most widely variable budget line items. But how’d they do it? To get started, the couple set a very specific — and strict — grocery budget: $200 per week had to support all the needs of Allen, her husband and her three children. That includes paper goods and toiletries — and any restaurant meals the family might indulge in. To ensure they stuck to their guns, they went the old-fashioned route and employed the envelope system. Only the $200 cash inside that envelope could be used on food each week. Period. And while Allen says she “used to coupon really heavily” — which meant about 1.5 hours of planning on Sundays — the majority of the savings had more to do with where they were shopping. “I shop at discount chain stores like Value Market and Save-a-Lot,” she said. You might try Aldi, too. “I shop by what’s on sale for that week, and plan my meals around what’s in the circular,” she mentioned. The family goes shopping every week, once per week. And when they splurge on salmon or T-bone steaks, that means some other day of the week, it’s beans and rice out of the slow cooker or cereal for dinner. Instead of continuing to pay the $60-$70 per week she was paying for after-school care, Allen found a free daycare program near her daughter’s school. It’s even on the school bus route. Even better? Finding it wasn’t that hard. “I just Googled around for what was close to her school,” Allen said. You can apply the same principle to other paid services you may be taking advantage of, and even some goods. The Penny Hoarder’s founder Kyle Taylor supplied his college friends with free beer he earned by taking jobs auditing liquor stores. And before you pay for another trip to the movies, date night or glass of wine, think again. Always be on the lookout to see what you’re paying for that you can trade for a free version — that’s Penny Hoarding at its best! Although Allen did invest in a coaching certification and marketing courses, much of the knowledge she’s used to build her business was repurposed from her ex-career. “Most of my content was developed from what I learned in corporate America,” Allen said. She remodeled concepts around leadership and relationships to apply to marriage and family life in outside-the-box ways. In so doing — and by choosing a low-overhead freelancing business like blogging and lifestyle coaching — she was able to avoid many of the startup costs associated with a budding business. 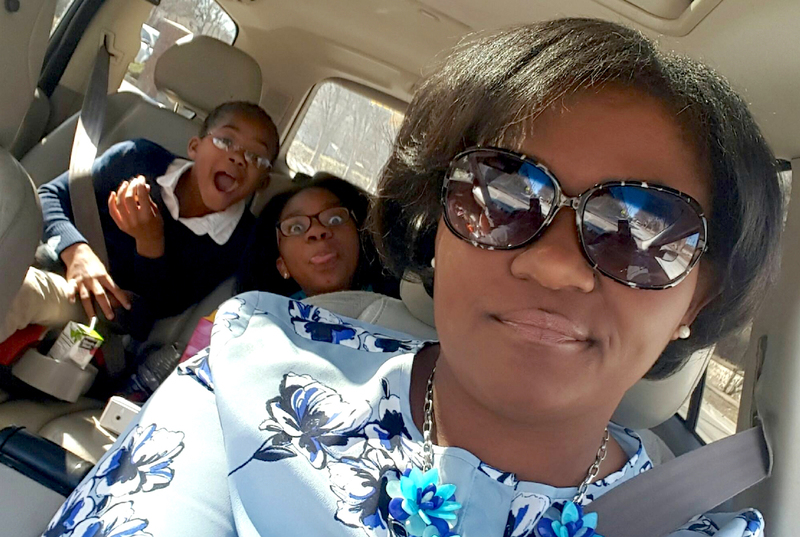 By carefully examining her finances and cutting back, Allen was not only able to quit her job and segue into solopreneurship, but the family also purchased a new home and started paying tuition at a new private school for her daughter. Although she doesn’t make what she did in the corporate world (yet! ), her new position allows her the freedom to play “momager” and travel the world, which she says is totally worth it. “This year alone, we will travel to New York City, Michigan, Houston, Orlando, Baltimore and Indianapolis for engagements and opportunities in my business as well as my daughters’. Most of those trips are fully funded,” Allen noted. If you can figure out how to prioritize your own finances and build a business you care about — and that helps other people — you, too, can actualize your dreams and work from home. Nobody said it would be easy… but the most worthwhile things in life never are. Your Turn: Why do you want to work from home? To spend more time with your family, travel more or just to avoid donning pants? Let us know in the comments. Jamie Cattanach (@jamiecattanach) is a contributor at The Penny Hoarder. She also writes other stuff, like wine reviews and poems.